Started around the same time as recombinant DNA technology (Genentech), monoclonal antibody generated much less buzz. But its impact in biotechnology, in terms of both transforming medicine and generating profit for the new industry, is much wider and deeper than rDNA. This book on monoclonal antibody is threaded with stories of two companies: Centocor (est. 1979) till its 1999 acquisition by J&J; and Hybritech: San Diego’s 1st biotech. A progressive understanding of immunology, B cell, antisera, antibody. Progress of theory, technique and applications in infectious diseases and diagnostics. But the emergence of antibiotics made antibodies less important in infectious diseases. Invention of plaque assay using Sheep Red Blood Cells (SRBC). Milstein and Kohler finally established the hybridoma cell line that won’t die and produce huge amount of antibodies. Patent dispute. Milstein and Kohler didn’t push for patent on the mAb process. Koprowski of Winstar Institue (Penn, USA) got first mAb patent on hybridoma against influenza and tumor antigen, using Milstein’s cell line. There are many legal, organizational, and practical reasons why Milstein missed the patent. The field was slow to realize mab application, Sera Lab got involved in selling the cell line and mAbs by chance (on a sales visit for its antisera). Various lab breakthroughs came from neuroscience, diagnostics, bi-specific antibody, and FACS. J. Exp. Med. rejected first human mAb paper for “no practical use”. The paper later published on Europe J. Immunology and became a “citation classic”. Technical challenges made people skeptical of mAb comparing to polyAb. Then FACS made mAb widely available. mAb is a technology, can be applied to all kinds of research. These researchers have already specialized in their fields. Postdoc Secher developed mAb column to purify interferon and other protein. Discouraged again by MRC against patenting due to “no obvious application”, he nonetheless filed a “pre-filing” to patent office. Its 12 months deadline was just about to expire when government-supported Celltech wanted that patent and took over legal work. However, Celltech didn’t carry through with urgency, which induced anger in Secher. Genentech/Roche also developed mAb for IFN purification. Weismann went biochemical method with Biogen. They reached market about the same time. Celltech advanced mAb (manufacturing) for blood typing, led to improvement and know-how in manufacturing. During 1980s, by 1990, mAbs replaced antisera for most blood typing and HLA tissue typing. DNA probes, PCR and sequencing started to kick in in 1990s. It is hard to find tumor specific antigen; more likely tumor associated antigen. MAb 17-1a did colon cancer trial, was effective but not superior than conventional therapy. Ronald Levy (Note: current Dynavax SD-101 investigator) developed mAb against blood cancer, but it was customized to each patient. He later helped developing Rituximab. For GVHD and graft rejection in BMT, existing mature T cell in bone marrow and host is the cause, many people tried to develop specific mAb to deplete those T cells. But only Waldmann was focusing on a “functional” mAb which can activate complement — first functional mAb. Then he improved from IgM to IgG, then to humanized mAb. He developed many CamPath abs. There were little industry interest at the time. All work was supported by government and charity. Waldmann then setup Therapeutic Antibody Center (TAC) to meet the demand. David Murray’s SeraLab started as an animal farm for research, then anti-sera provider, then cell line and mAb provider. It almost went bankrupteda due to lack of funding. Then David participated in a TV show and won award. He declined the equity investment associated with the award and got loan from his banker, who was reluctant before he won the award. Royston and Birndorf’s Hybritech got plenty VC fund from Klein Perkins for 60% equity. He didn’t negotiate at all. It started to develop diagnostics in house, but later involved in costly law suit. He sold the company to Eli Lily. But Lily didn’t follow through anything, eventually and not surprisingly as a big pharma. Royston and Birndorf later started a new company Idec with Ron Levy. Idec was successfull and eventually merged into Biogen. Through out history, big pharma keeps wasting vanguard technologies they bought. In the east coast, Winstar Institute started Centocor, whose strategy was collaboration with and licensing from academia. It was successful in diagnostics business. Centorcor, as the vanguard, has to play the fine line of exploring uncharted territory. High cost, questionable trial, not every patient benefit, FDA asked for more info for Centoxin (mAb for Sepsis). Stock crashed from high expectation. CEO had to resign. Tax on stock rewards caused financial problem to employees. One executive cried with tears over losing luxury life. New trial was again abandoned due to high death in non-Gram Negative patients. Reasons of failure: pressure to become integrated company, competition from other biotech companies, lack of financial discipline ( burning $50 mil/Q at that time), pioneer curse, patent dispute with Xoma inspired by Amgen/GI case (not to settle but fight), lawsuit exposed trial design probelm, execution problem, change of endpoints, unblind error. Sepsis was a bad indication, new trial design, overly optimistic to naively double price for profit, MSS more specific so Centoxin failed. Later Abciximab became the first product. Chimeric, humanize by CDR grafting, fully human ab by phage display or transgenic mice. Antibody engineering involved many labs, companies. Single domain Abs (dAbs). Advanced tech may not have reduced immunogenicity more than chimeric antibodies. But patents litigation became common. GenPharm was unable to raise money. Cell Genesys. MRC/LMB patents provided huge revenue by non-exclusively license. Many analysts declared mAb dead after Centoxin failure. 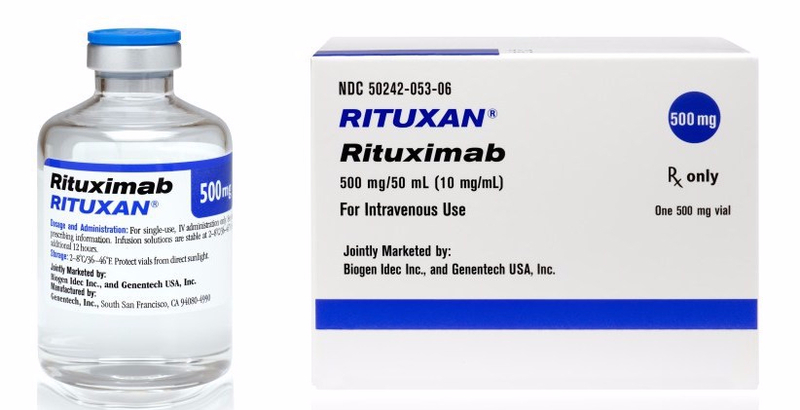 Then, Rituximab was approved fast, with only 7 years from discovery (by Idec) to approval (helped by Genentech). It benefited from Orphan status. Then it expanded indications soon after. Centocor invented post-marketing trial. Quicker FDA approval mechanisms. Drugs took longer in trials. MAbs have higher success rate then small molecules. Gold rush comes. But high price has social problem. Mabs changed biotech landscape, drug sales, fund raising. The story of Marianne (ulcerative collitis) and Infliximab. Herceptin and British NHS resource allocation. NZ Herceptin funding changed government in election. Cost effectiveness, nursing time, development cost, manufacture cost, biosimilar cost: all are high. Manufacture improvement. ADCC engineering to improve potency. Huge potential in infectious disease. Diagnosis, cancer, autoimmune, stem cells HSCs. 1) many places: mab vs hybridoma 2) page 103, JEM 3. 3) p. 175 humanized ab wrong picture 4) Cell Gensys should be Cell Genesys.